Greene was born in Ottawa, Ontario to Russian Jewish immigrants, and began acting while attending Queen's University in Kingston, where he also acquired a knack for broadcasting with the Radio Workshop of the university's Drama Guild on the campus radio station CFRC. The first of his American television roles was as family patriarch Ben Cartwright on the long-running western series Bonanza (1959?1973), making Greene a household name. He garnered the role after having turned in a highly-regarded performance in a production of Nineteen Eighty-Four for the Columbia Broadcasting System (CBS). The first of his American television roles was as family patriarch Ben Cartwright on the long-running western series Bonanza (1959?1973), making Greene a household name. He garnered the role after having turned in a highly-regarded performance in a production of Nineteen Eighty-Four for the Columbia Broadcasting System (CBS). After the cancellation of Bonanza, he was host for the CBS nature documentary series "Last of the Wild" from 1974 to 1975. During the 1977 miniseries, Roots, he played the first master of Kunta Kinte, John Reynolds. Greene's next best-known role was Commander Adama, another patriarchal figure, in the science fiction feature film and television series Battlestar Galactica (1978?1979) and Galactica 1980 (1980). In 1964, Greene had a #1 single on the music charts with his hit ballad, "Ringo." [] He was also known as the host and narrator of the nature series, Lorne Greene's New Wilderness. He also appeared in the HBO mockumentary The Canadian Conspiracy, about the supposed subversion of the United States by Canadian-born media personalities. For nearly a decade, Greene co-hosted the Macy's Thanksgiving Day Parade on NBC. 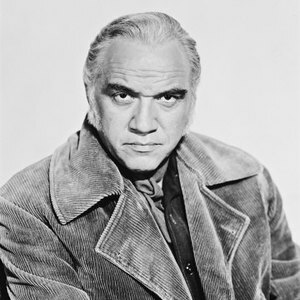 He is also fondly remembered as the founder of Toronto's Academy of Radio Arts which had been founded as the Lorne Greene School of Broadcasting.